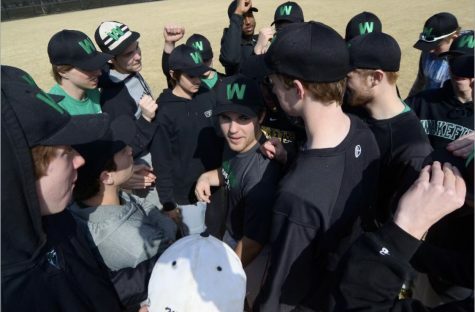 Varsity Baseball at Wakefield has become a force in the conference and in the area. With an entirely new coaching staff in the past few years, the boys have become a much more well rounded team and began winning games. After losing in the conference championship last year to their conference rival, Marshall, they have a fire to comeback stronger and take home the championship. Wakefield has had many amazing baseball players come through the school in it’s 60+ years. The team has always had good players, and now with a coaching staff that focuses how to help players use their strengths against their opponents, the players have brought Wakefield Varsity Baseball to a whole new level. One player who has never really gotten the recognition that he deserves, has began to step out from the shadows in the past few games this season, is showing that hard work truly does pay off, whether it takes a few weeks, or in his case, 4 years with the program. 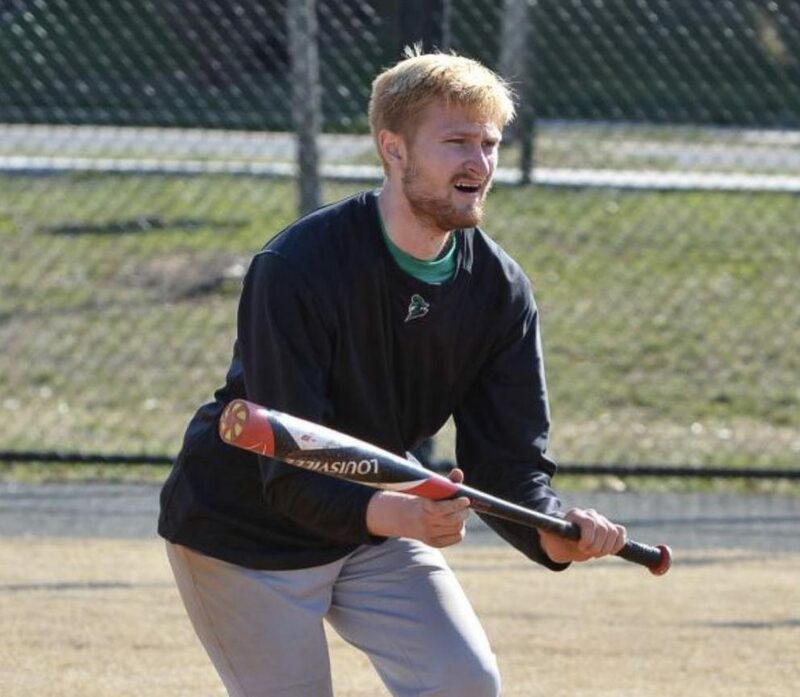 Senior Bingham Moloney is becoming a star on the Wakefield Varsity Baseball team. The team huddles for some inspirational talks before practice. He started his baseball career at Wakefield on the JV team for 2 years, grinding and putting in the work on and off the field to improve his game. 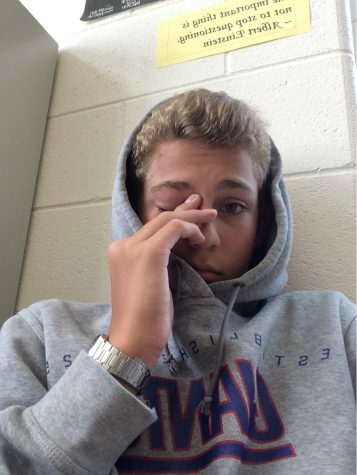 After getting moved up to the Varsity team in his sophomore year, he has only began working harder. 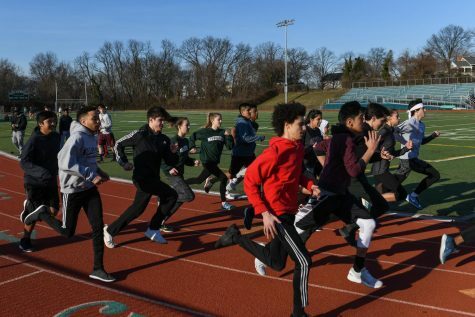 Everyone on the Baseball team works hard during practice to show the coaches that they deserve to be on the field, and the coaches main focus for players is to see hustle, and they can’t teach hustle. Hustling shows that you truly have a love for the game and you’re not just out there to be on the team. Bingham has always proven that he loves the game of Baseball, he easily puts in the most work during and after practice, always staying for hours after practice ends, getting in work on off days, and during the weekend trying to improve his game. He has become increasingly better on the offensive and defensive side of the ball. He gets all his reps in at practice getting swings off the tee, real hitting off of the iron mike, and live hitting against real pitchers. The boys stretch before practice. In the past few games for Wakefield, Bingham has slowly began getting more and more play time, and when he gets a chance he does NOT waste it. Bingham has been put in the past 3 games to DH for hitters not doing as well in the box. Bingham has been placed in clutch situations where he never disappoints. He currently has a batting average of .667 and has the highest batting average of anyone on the team. Hitting is not the only thing Moloney is excelling in, he has also become a threat on the base path with 4 combined stolen bases in the three games he has played. The Boys now have a record of 6-7, and 4-4 in conference play. The team looks to keep turning things around and finish the seasons with a lot more wins. Come out and support your Warriors tomorrow on Tuesday, May 1st at home at 6pm as they take on Georgetown Day in an intense non-conference match up. its great to see that wakefields star player, moloney, is finally getting the respect he deserves!!!!!!!!!!!!!!!!!!!!!!!!!! !